Apple Music was officially released in September 2015. 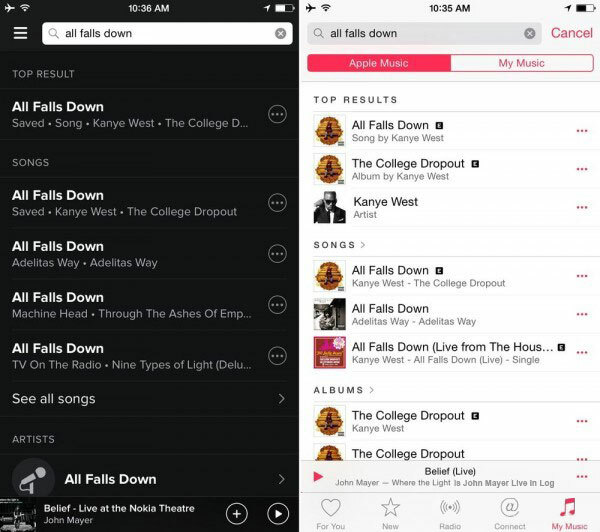 In spite of its glowing appearance, Apple Music still faces many challenges. Nowadays, streaming music market is dominated by its competitors Spotify, Pandora, Rdio and so on. Spotify, especially, has been leading market all the time. As Apple Music grows up gradually, it becomes an important part of the music world. Thus, it is necessary to have a comparison on Spotify and Apple Music. In this article, we focus on their UI(user interface). Spotify directly display songs/albums/artists. But in order to view details, users always need to click. Apple Music displays the music contents directly. But it will be better if RECENTLY ADDED can be turned off. Apple Music loses in search. Spotify provides instant result, which means that users can find the music they want without typing the full names of songs and albums. 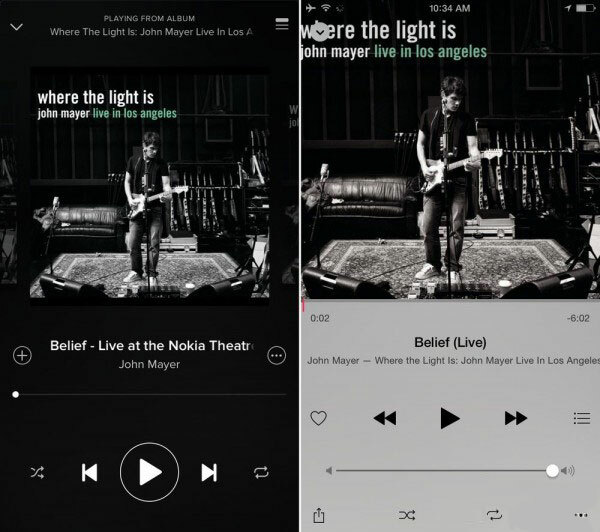 In Spotify, clicking the result will play the music directly. Apple Music only provides recommendations. Click them and you can look for more music. But if you want to listen, give another click. 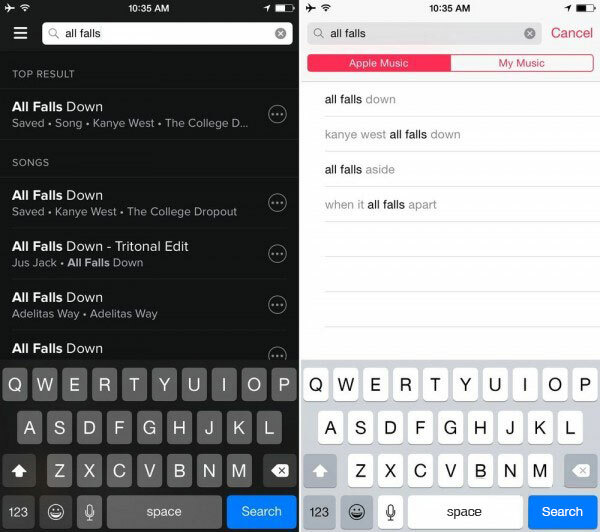 Although it takes one more click to see the search result in Apple Music, Apple Music has a better layout. Both apps divide the search results into results/songs/others. However, Apple Music classifies more explicit. Both apps have a similar interface. 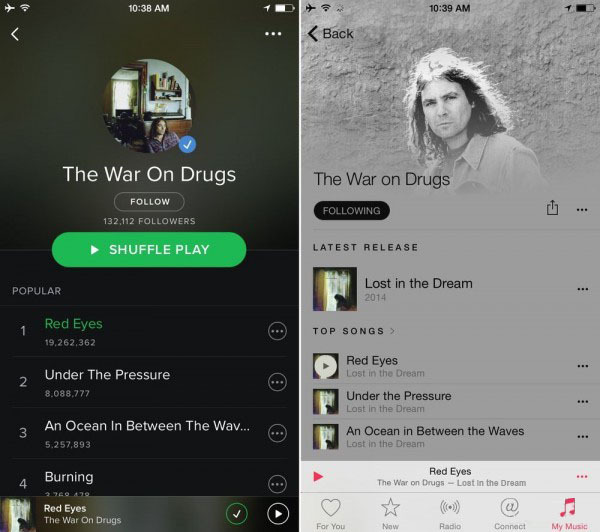 Spotify provides a same color interface for all singer, which Apple Music will adapt the singer's picture. What' s more, Spotify offer numbers showing how many times a songs has been played. 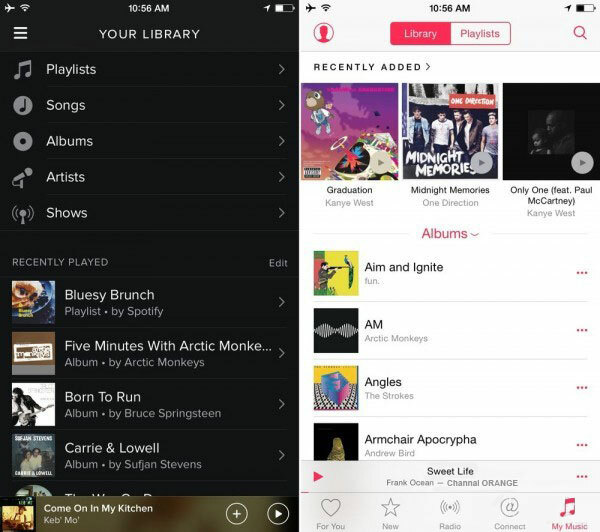 Apple Music adapts the humanized edit playlist form Beats Music. But Spotify's performance is also not bad. Apple Music always recommends songs that are very fit for users. Spotify has a very nice Playing interface. 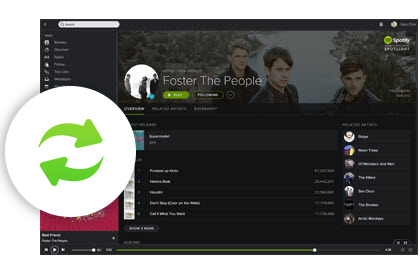 Except for play control, Spotify provides four simple functions, including Random, Repeat, Save and More. Apple has lots of function buttons, which seems a little messy. Spotify puts album names in the bottom of screen. Apple Music uses a larger size of album cover. But cutting of the cover is not so good. 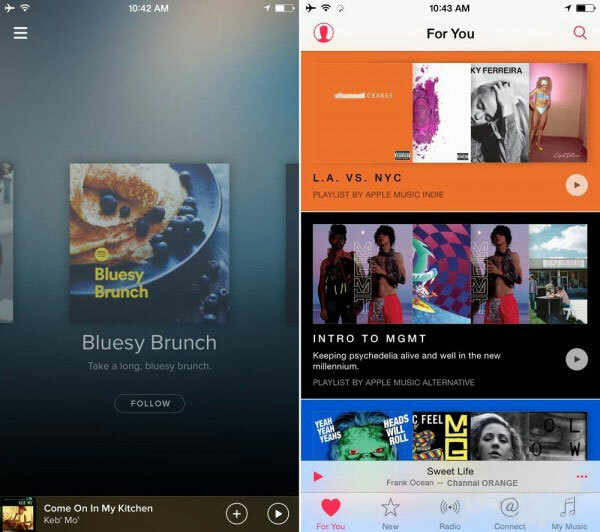 Apple Music and Spotify are both the popular stream music providers all over the world. But due to the proctection of digital right management(DRM), they are limited in using to some extends. For example, Apple Music can not support Windows Phone(Apple Music for Adnroid is also not as functional as it behaves in iOS). And Spotify only supports online listening, which puts a request for network quality.Thus, there come Sidify Apple Music Converter and Sidify Spotify Converter, which allow people use Apple Music and Spotify more freely. Apple Music does not have the option to save Apple Music songs to local computer or play it on your music player. But Sidify Apple Music Converter could make it come true. By removing DRM form Apple Music, it allows you enjoy Apple Music freely whether you are online or not, as it can convert Apple Music to MP3/AAC/WAV/FLAC very quickly. Although Sidify Apple Music Converter generates new files from Apple Music, it keeps 100% quality of the original songs. Also, you can play Apple Music in all kinds of devices including Android and Windows phones. In common sense, it is impossible to extract MP3 files from Spotify music. We can not download Spotify songs for enjoying on car player. This is the result of the limit of DRM. 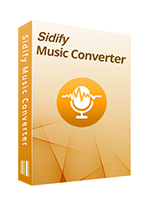 Sidify music converte for Spotify can remove DRM of the Spotify songs.It is very easy to use. It helps convert them to MP3/AAC/WAV/FLAC in a 5X fast speed without losing any quality. In that way, we are able to enjoy the Spotify even we are offline. We can play the Spotify songs on car player or other devices as long as they supports MP3/AAC/WAV. Not only Apple Music and Spotify have DRM. So does iTunes video. In order to removing DRM from it, here recommends M4VGear DRM Media Converter. 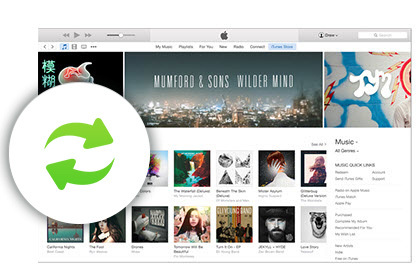 It is a powerful iTunes video converter which can convert M4V to MP4 or other popular format. In that way, you can freely play iTunes video on non-Apple devices.